Finally! This time, I get to attend the Bloggers United event in the Philippines (while I was on vacay)- what an intense shopping event! Super fun. I went with my 'kinakapatid' / god-sister, Dana (who took my outfit photos on my previous post). Basically, the event is where influential bloggers in the Philippines sell their pre-loved items (some are new). There were photo booths, make-overs, seminars and so on. As for me and Dana, while shopping, we did some 'fan-girling' moment with our favorite Philippine Fashion Bloggers. haha! Yay for neon green! with Maggie Wilson of Haute Affair. Fashion Bandwagon and Pinkaholic booth. 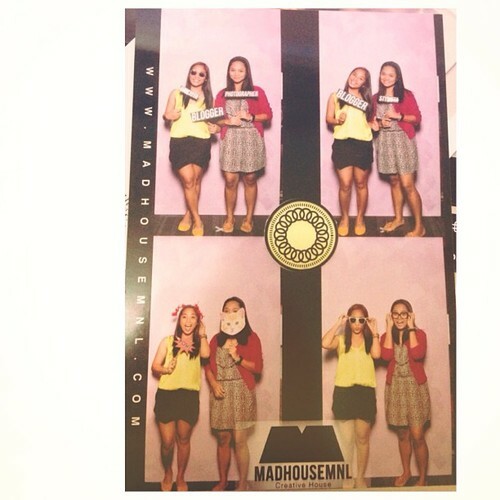 Mad House MNL photo booth.